Marking the centenary of the First World War Armistice of 1918, award-winning theatre company Antic Disposition present their critically acclaimed adaptation of Henry V in Durham Cathedral for two special performances. A production of Shakespeare’s HENRY V performed by theatre company Antic Disposition, part of a wider tour of cathedrals around the UK marking the centenary of the First World War and commemorating the Armistice of 1918. 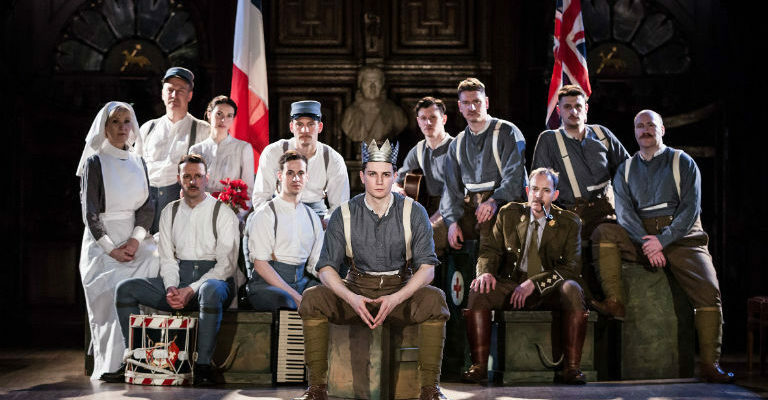 Moving effortlessly between 1415 and 1915, Antic Disposition’s Henry V combines Shakespeare’s epic history play with original songs and music inspired by the poetry of AE Housman, in a powerful tribute to the young soldiers caught up in conflicts five centuries apart.